Together with the centre of Brembilla, Cadelfoglia is one of the most populous hamlet in Brembilla Valley, situated in the bottom of the valley itself. 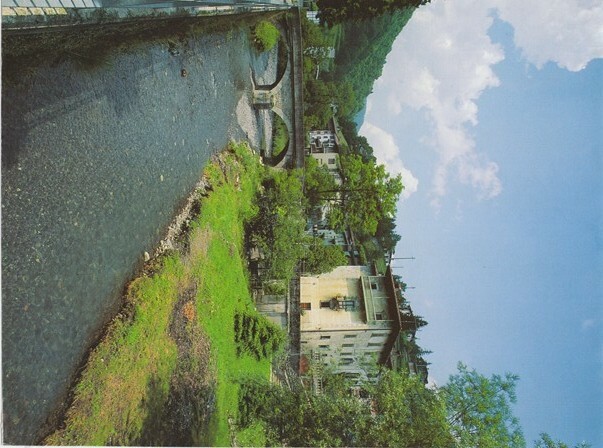 It is located on both sides of torrent Brembilla and the main road 24 of Brembilla Valley that leads to Gerosa and Taleggio Valley. Together with many new private and industrial settlements, it still preserves some valuable old places and ancient buildings. Before the expulsion by the Republic of Venice, Cadelfoglia was part of the town of Brembilla, which moved away from the court of Almenno in 1234. However, Cadelfoglia was not affected by the destruction, because, together with Passabona and Cavaglia, managed to cunningly join the town of Gerosa, thus avoiding the Venetian reprisal. After a while, the Venetians discovered the trick and punished them with a fine. But the disputes with Brembilla remained sharp; therefore, Cadelfoglia and the other crafty areas remained in the middle of the two towns till the end of the Venetian power, without being recognized by neither of them. When Saint Carlo Borromeo visited the church of saint Rocco in 1575, the area was prosperous and autonomous until 1700 under the name of Cadunine, which was maybe the name used to refer to Cadelfoglia and the other areas contended by Brembilla and Gerosa. In 1830 the peasant centre counted 166 inhabitants distributed in 41 families. Around the half of the 50s, Cadelfoglia began to lose its status as a peasant centre: the mill stopped working, the stables were turned into houses and the old external stone stairs were removed. 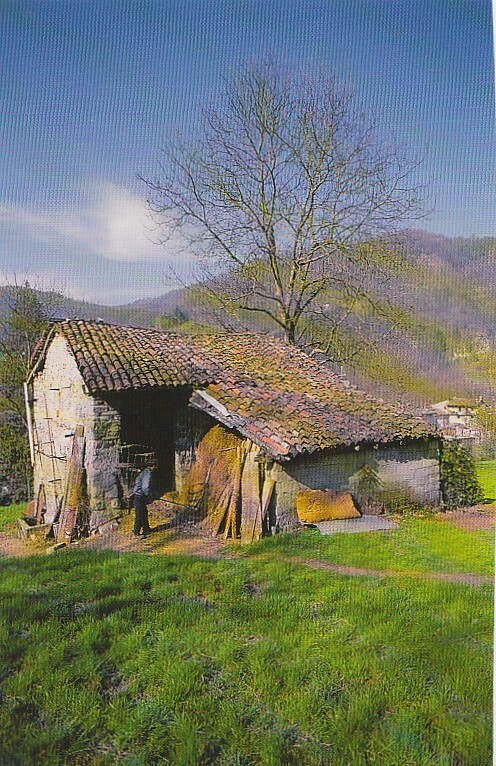 Nowadays, only on the part behind, some buildings preserve their old rural appearance, with stairs and wooden galleries on the road towards Case Sopra. The bridge that crosses the torrent Brembilla is interesting from an architectural point of view, the niches inserted in the terracings behind are suggestive, the fresque representing the Virgin on the façade of a house is also valuable. 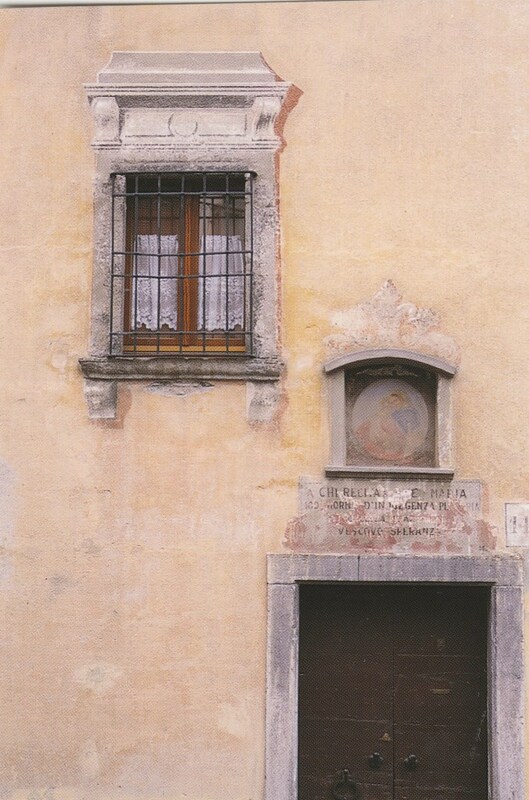 The crest of the Carminati family, placed on a jamb of a house door, at the beginning of the road to Garateno, is worth a look. In the recent history of the area, we need to remember the taverns ''Osteria vino e gazzose', 'L'ostarea di Ròss' and the 'Stalù'. It is situated in the historical centre, close to a nice small square. Above the main door, you can admire the image of the Virgin of Carmine, on the sides Saint Rocco, who is the patron, and Sebastian are painted. In 1500 there was already a small chapel devoted to Saint Rocco. The interior of the church displays a Greek-cross style plan and the presbitery which corresponds to the old chapel. The eighteenth century-style decoration of the choir and the presbitery is very beautiful, fanciful and enterily painted without stucco. The decoration was restored in 1996. 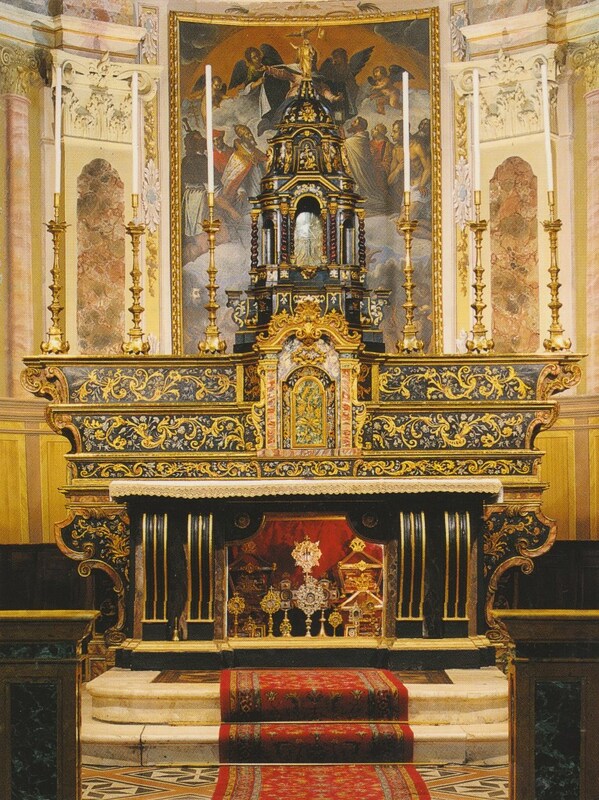 The main altar also dates back to the eighteenth century; it is made of carved wood, then lacquered and gilded, and displays a temple-shaped apse. The precious altar has been recently restored by the sculptor Luciano Gritti. Three big paintings embellish the choir, they were restored in 1986, the central one represents the Virgin of the Suffrage and Angels by the Venetian painter Angelo Lion (1627). The inhabitants of Cadelfoglia have a very special devotion to Saint Rocco, whose rite is celebrated on 16th August, and also to the Virgin of Carmelo and Saint Sebastian, celebrated in July and January respectively. Until the Sixties, Our Lady of Sorrows and Saint Orsola also used to be celebrated. Cadelfoglia is the departure and destination point of a very pleasant hike, which crosses the valley of the beech-trees, goes up to Cavaglia, then down to Grumello, and then back to Cadelfoglia. The excursion starts from the area of Capreduzzo, it is signalled with the path CAI 592 C and it lasts 2 hours and 45 minutes in total. During the hike, you can encounter some interesting typical buildings called «Calchere», used for cooking stone and transforming it into lime. From Cadelfoglia, you can also take the comfortable path CAI 592 E, going through the areas of Garateno and Blello, which is a peculiar mountain centre, from which you can enjoy the landscape of the entire valley. 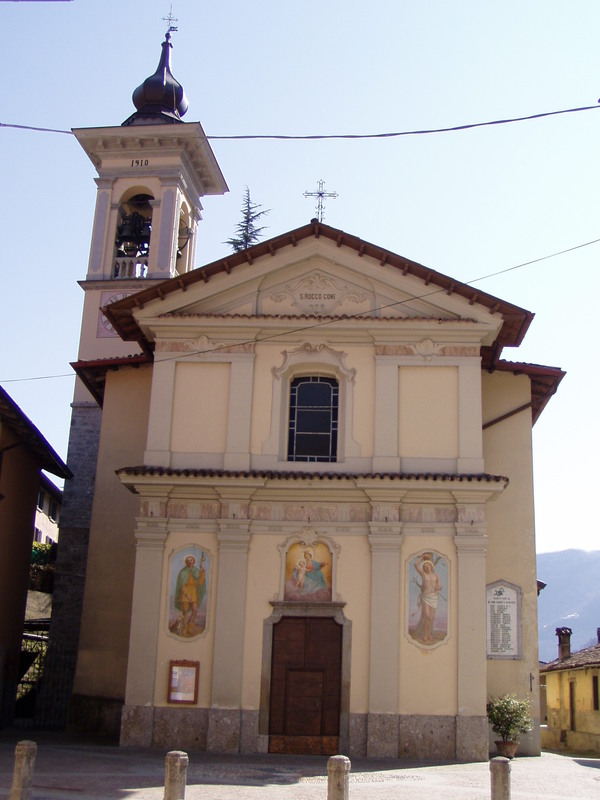 From Blello you can keep on walking to the typical small church and then to the hamlet of Curnino Alto. Here, you will cross the path CAI 571, leading to Bocchetta Piazzacava and Tre Faggi (three beech-trees).